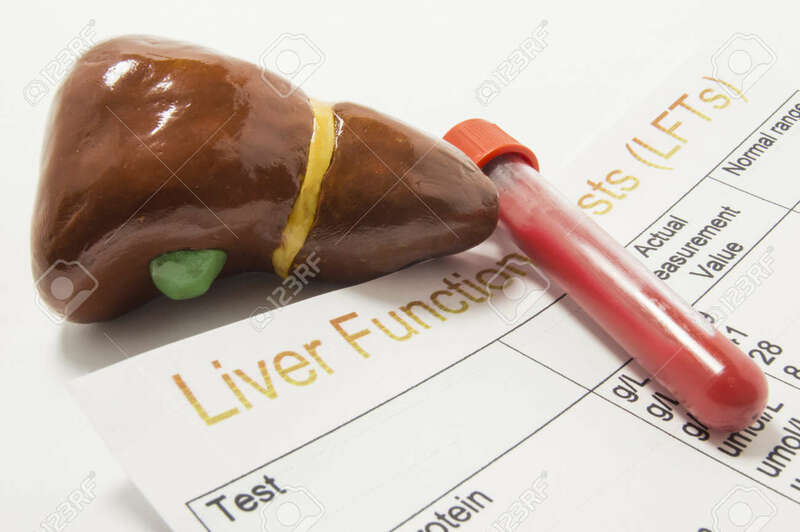 Figure Of Human Liver, Laboratory Test Tube Or Bottle With Blood And Paper Result Of Liver Function Or Enzyme Test (LFTs) Analysis Are On Doctor Table. Concept To Represent Liver Function Test Or Exam Royalty Free Stok Fotoğraf, Resimler, Görseller Ve Stok Fotoğrafçılık. Image 73608280.